On contrary to the inflated claim of the Centre, the government data seen by the Down To Earth shows that the number of non-loanee farmers has in fact, reduced by one per cent. Interestingly, the number of insured loanee farmers has shot up by 28 per cent in comparison to 2015. But it must be noted that there is a compulsion for every loanee farmer to buy this insurance scheme and they are forced to pay premium. The premium amount is automatically deducted from their sanctioned loan amount. The Pradhan Mantri Fasal Bima Yojana (PMFBY) was launched in January 2016 to provide relief to farmers in case of crop loss or damage due to unseasonal rainfall, hailstorm, drought and other natural calamities. The annual budgetary allocation was Rs 5,500 crore instead of required amount of about Rs 19,000 crore. 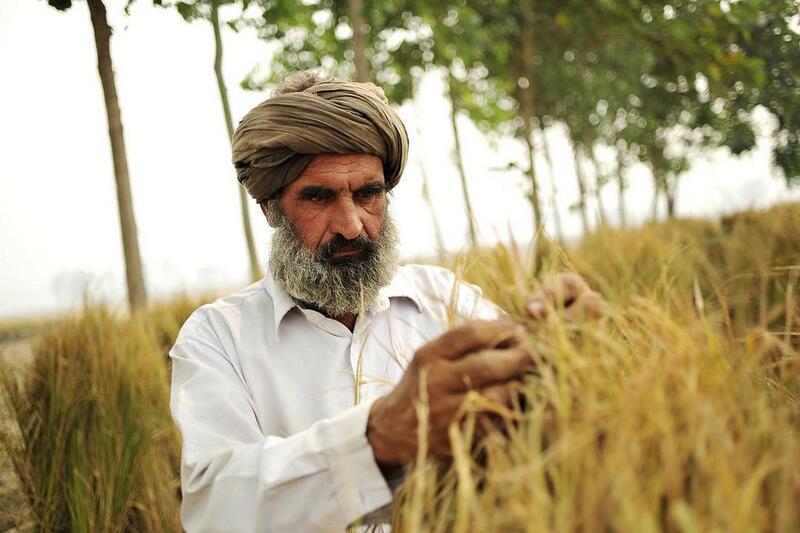 According to the government-owned Agriculture Insurance Company India Limited (AICL), which is engaged in implementation and providing data to the government, the number of non-loanee farmers opting for insurance reached 9.7 million in kharif season of 2016, whereas it was 9.8 million in the same period in 2015. Like previous schemes, PMFBY, too, has not been well received by non-loanee farmers. Only those who are engaged in horticulture, voluntarily opt for insurance scheme. It is an indication the insurance scheme has not been able to generate any interest among farmers. The senior officers, who closely monitored the scheme, are in a fix as they can neither reject nor accept its own data. Is there a pressure on banks to cover more farmers under PMFBY? Experts feel that this rise in number of farmers getting covered under PMFBY is due to the continuous pressure on banks and awareness drive. “The banks were under tremendous pressure to deduct premium from loan amount. Earlier, under local influence, banks would avoid deducting premium amount,” says a senior officer from the Ministry of Agriculture who doesn’t wish to be named. In many areas, local farmer leaders protest over automatic deduction of premium amount from their sanctioned loan amount. It has long been a bone of contention that farmers do not get any benefit from agriculture insurance schemes. Down To Earth tried to reach out to the Union Minister of Agriculture and other officials at the the ministry, but it is yet to receive any response. Faulty compensation mechanism is one of the primary reasons for the low adoption rate, with insurance units still remaining at village panchayat level and not at an individual level. Hence, there is no guarantee of farmers getting insurance claims, even if they lose all their crops, unless there is significant loss in that given area. Moreover, existing system of cross checking or assessing the damage by respective authorities and /or audits are not adequate. Corruption cases are being reported from various parts of the country. The PMFBY has insured 36.76 million (26.5 per cent of total household farms) of farmers which is 19 per cent higher than in 2015, when total number of farmers insured were 30.86 million (22.3 per cent of total household farms). There are 138 million household farms in the country.